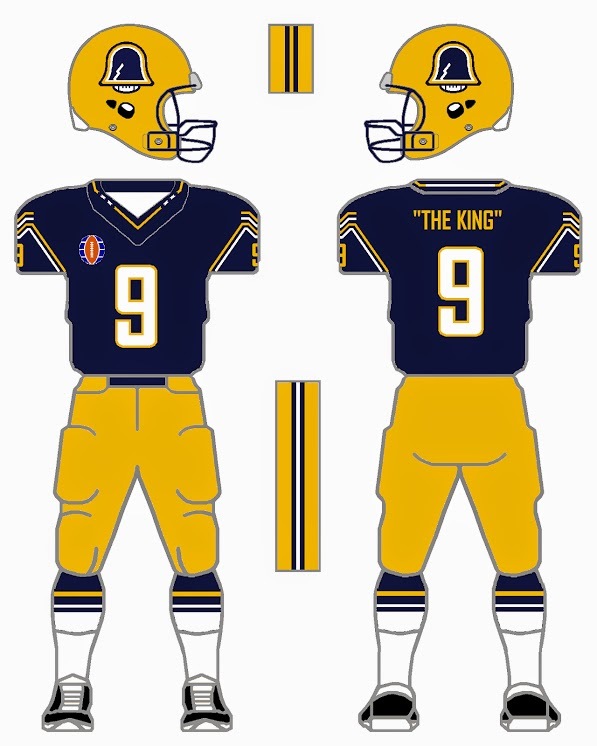 The second part of the World Football League uniform contest on Uni Watch is now posted! 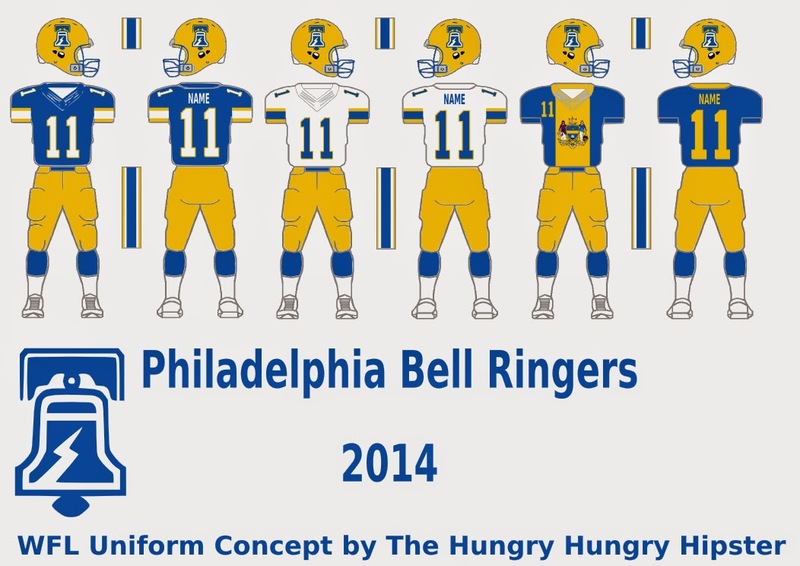 This is a look at the designs submitted for the Philadelphia Bell franchise. 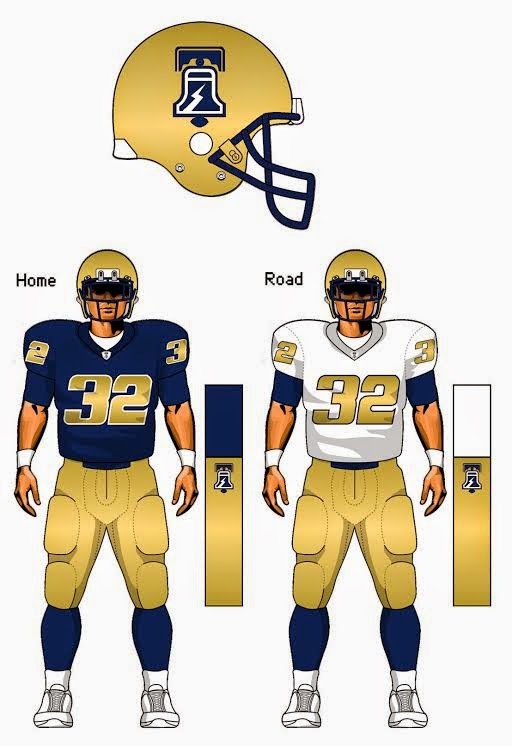 Philadelphia - Sadly, they fell victim to the same trends as other "blue & gold" teams and darkened their colors to navy & metallic gold and redesigned their uniforms in 2001. Prior to that, the team had remained fairly conservative, only modifying their striping pattern a couple times. Logo- Triple color bell decal to helmet. The bottom end of the bell has the tip of the clapper in the shape of a striped football with laces. Keeping the gold helmet. Colors- Changed the blue to a navy, with striped design to sleeves. Sleeve remains blue on the road design and contains the player number. I have # 9 for Bell QB King Corcoran, pictured with Corcoran and "The King" on the nameplates. 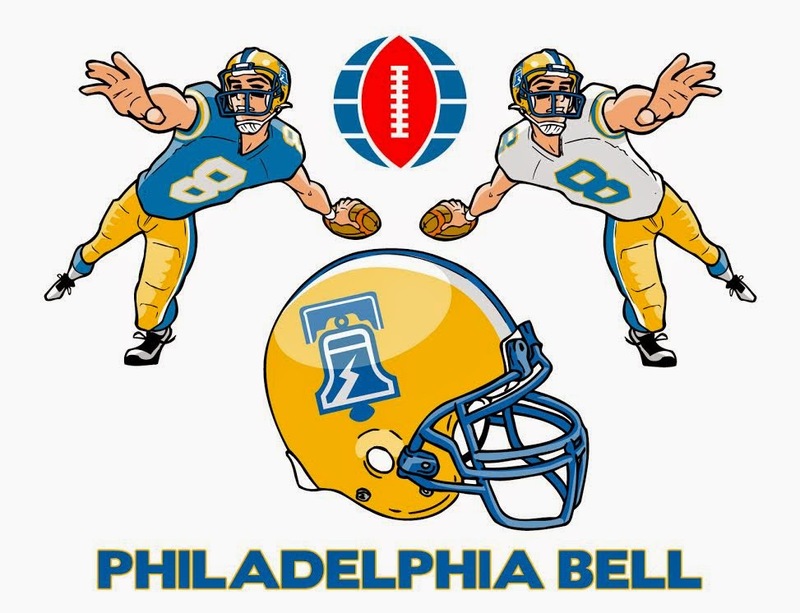 Philadelphia Bell / Philadelphia Bell Ringers: Nickname changed to Bell Ringers to toughen up image after decades of losing. 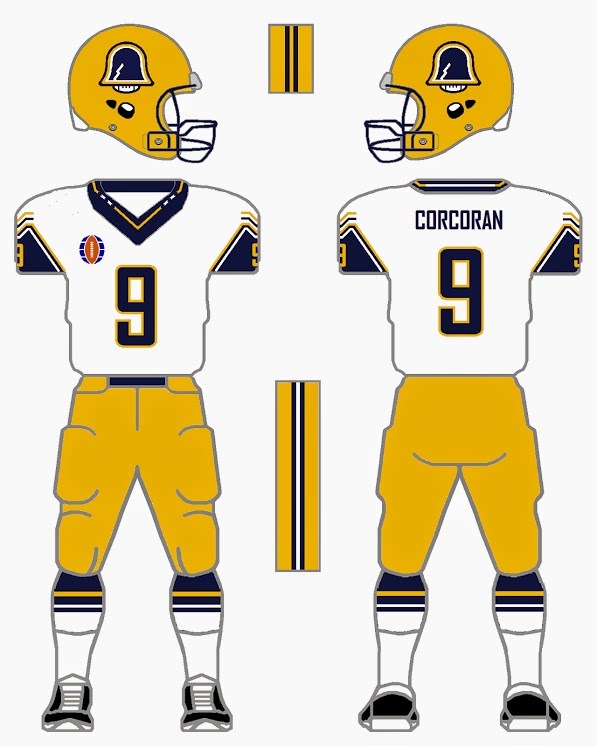 Some minor changes made to the uniforms in the team's forty year history: team colors were adjusted and helmet logo was tweaked. Biggest change was the addition of a "City Pride" alternate jersey that was designed to resemble the Philadelphia city flag.